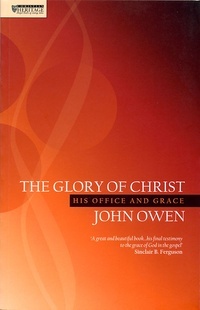 To see the glory of Christ is one of the greatest privileges that a Christian can enjoy. Anyone who does not see his glory in this world, will not see his glory in heaven, and no one should look for anything in heaven that he has not experienced in this life. Just as looking directly into the sun darkens our vision, so Christ’s heavenly splendour is too brilliant for our mind’s eye, but in seeing it by faith, we are prepared for heaven. In his immense essence, the infinite God is invisible to our finite human eyes, and will remain so for eternity. Only “in the face of Jesus Christ” can we see God and be filled with peace and rest.